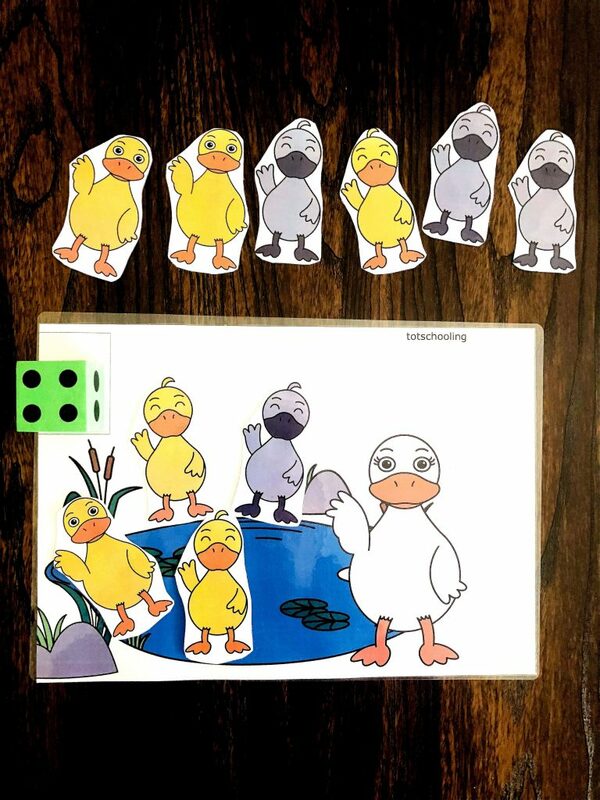 Looking for a FUN way to encourage preschool kids to start identifying numbers and count objects? Kids will love choosing a random number card and placing that many ‘ducks’ onto the mat. This mat includes numbers up to 10 so you can definitely work on it with preschoolers who are ready for it OR use the numbers 1-5 for an easier version. This activity will go perfectly with this mega Montessori inspired spring flip book for 3-4 year olds. Laminate these and place them in the same ring binder which includes skills to cover language, name letters, shapes, math, emotions and much much more! Don’t wish to laminate and do all the prep work? Grab it HERE from our Etsy Hand-made shop. This FREE mat will help preschool kids begin to use their on-to-one correspondence skills to match objects to number digits. Read all about how to use this mat and download it FREE from TOTSCHOOLING HERE. Looking for some more Number Sense Activities? Head on over to the Number Sense Teacher Activities page for a list of ALL the FREE activities shared on the Sea of Knowledge.